The Hispanic Chamber of Commerce Tampa Bay sends a big THANK YOU! With members like you, we can provide a sustainable business community in Tampa. Only through your support can we continue to fund important community initiatives and lead the way for business. The Hispanic Chamber of Commerce offers members use of our logo on their own websites or printed documents. Simply contact the Chamber and complete a logo release form and the Director of Administration will email the member logo to you. This logo will tell customers and prospects that you are a Chamber Member and have made an investment in your community. We want you to thrive as a successful local business and provide needed services and jobs in Tampa. Did you know that 63% of consumers are more likely to purchase goods and services from a business if they know they are a member of the Chamber? That is every 2 out of 3 customers! Talk about Membership Value! At HCCTB, we strive to provide what you need to succeed. Your Chamber Membership extends to all your employees, so not only can you be involved, but your staff can be as well. 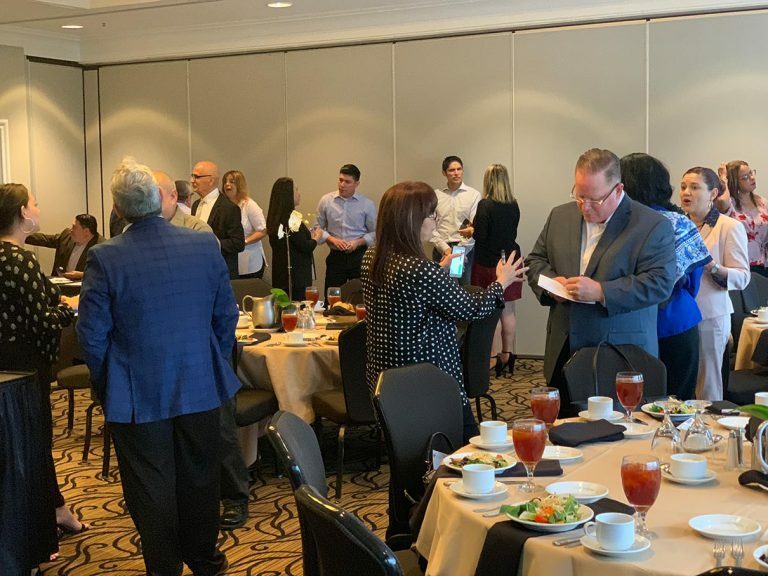 Whether you choose to take part in our monthly networking luncheons, training/seminars, ribbon cuttings, networking mixers, sponsor an event, or serve on a committee, your engagement will help you develop your business and make valuable connections. Our mission at The Hispanic Chamber of Commerce Tampa Bay (HCCTB) is simple – to support, promote and attract business for the advancement of our community. We hope that during our events we can connect to see how to better serve you. Please contact us directly if you ever need assistance. We work hard to provide real benefits for you and your employees, and we hope you will continue to join us in making Tampa a great place to live, work, and play. Remember, membership in the Chamber is an investment in your community and in the Tampa Bay area’s future. We thank you for being an integral part of that future!